Several camps, including the Integrated Bar of the Philippines (IBP), are gunning for the dismissal of SolGen Calida's Quo Warranto petition against Chief Justice Lourdes Sereno, arguing that impeachment is the only constitutional means of removing impeachable officials. I think this is incorrect and let me explain why. DISCLAIMER: These is my personal opinion regarding the case. Should there be legal infirmities in my explanations, I strongly encourage the reader to point them out in the comments section of the ThinkingPinoy Facebook Page or to email me at TP@ThinkingPinoy.net . Also note that I am already exhausted so I have no more energy to proofread my work. A Justice in the Supreme Court of the Philippines explained to me the nature of Calida's petition and I published it in a previous Thinking Pinoy article. In that article, the Justice said SolGen Calida's Quo Warranto petition assails Sereno's qualifications at the time of her appointment as CJ in 2012. If granted, Calida's petition would render Sereno's appointment void ab initio, or void from the beginning. That is, it will be as if Sereno was never Chief Justice. That is, it will be as if there wasn't any Chief Justice to remove because the Chief Justice's appointment -- Sereno's 2012 appointment -- would be considered invalid. Strictly speaking, Sereno’s “removal from office” presupposes Sereno’s constitutional appointment as Chief Justice, a condition that won’t exist if her appointment was invalid in the first place. The Justice said this implies that Calida's petition progresses over a different track vis-a-vis impeachment. The Justice said this won’t count as a collateral attack. Collateral Attacks, in this regard, are non-impeachment petitions that would in effect remove Sereno through a process other than impeachment. But the operative word here is “remove” and as explained earlier, there is no CJ Sereno to “remove” because there was never a Chief Justice Sereno, just an Associate Justice Sereno, at best. Second, what makes the Chief Justice more special than the Chief Executive? With these said, Article XI didn’t say that impeachment is the SOLE way to “remove” an impeachable official. For example, suppose I said that I may entertain myself by watching a movie, that doesn’t necessarily mean that movies are the only things that entertain me. For example, I may also entertain myself by reading Vice-president Leni Robredo’s legendary quotes, or by watching videos of Senator Leila de Lima’s public meltdowns, and neither of them qualify as “watching a movie”. VP LENI, "TINITIRA" NG "WELL OILED INFRASTRUCTURE" NA "KAUNTING PERCENTAGE LANG ANG TOTOONG TAO"
"An election contest is initiated by the filing of an election protest or a petition for quo warranto against the President or Vice-President." Thus, a quo warranto petition MAY BE FILED against a sitting president or vice-president, so what makes the Chief Justice so special? The “quo warranto method” against impeachable executives is deemed constitutional via an “A.M.” or “Administrative Matter”, a document whipped up by the Supreme Court En Banc, so what prevents the Supreme Court En Banc from whipping up a similar A.M. that will apply to Supreme Court Justices? I do not see any. That is, if a quo warranto petition may be filed against the President of the Philippines, then logic and the Equal Protection Clause essentially dictates that such a petition may also be filed against the Chief Justice. A lawyer-reader pointed out that "while the analogy of 'a president and vp being removable by quo warranto so why shouldnt the chief justice be' has merit in logic, strictly speaking it is outside the constitutional framing. The constitution establishes limits, and since we are such a statutory country, we are supposed to stay within the limits in applying the law." However, there is judicial precedent. The SC removed a COA commissioner by quo warranto when he was an impeachable officer. So while i dnt agree with the qw of cj from a purist point of view, the sc could just easily uphold itself on jurisprudence this time around. Prescriptive periods are time limits that set forth the maximum period of time after an event that legal proceedings based on that event may be initiated. Rule 66, Sec. 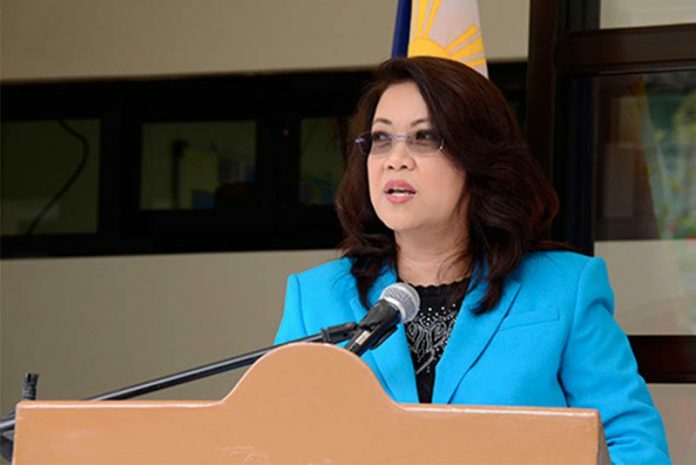 11 of the Rules of Court states that Quo Warranto proceedings should commence “within one (1) year after the entry of the judgment establishing the petitioner’s right to the office in question”, so that Calida’s Quo Warranto petition should have been filed no later than 2013, as Sereno was appointed Chief Justice in 2012. A lawyer-reader pointed out that "Act 3326 on prescription applies to only to special penal/criminal laws or for local criminal offenses. Not for special civil actions like quo warranto. And the specific prescriptive period in the rules for Quo Warranto trumps any other general provisions on prescription". Still, the petition ought to have been outright dismissed on grounds of prescription. SC is notoriously technical. But for them to give it due course says a lot about them really wanting the CJ booted out. Makes one wonder how one gets to be that undesirable, your own colleagues are tempted to stretch the limits of their discretion (already limitless and supreme in their case) to do so. Sereno was presumed to have complied with all the requirements for nomination, let alone appointment, as Chief Justice. Moreover, it was only during the late 2017 Impeachment Hearings in the House of Representatives that the Solicitor General discovered that she failed to file SALNs, a crucial requirement for nomination as CJ. In the absence of any 2012 document from the Judicial and Bar Council exempting Sereno from the requirement and considering that the infraction was discovered less than one year ago, I think Calida’s petition will commence within the prescriptive period. Imagine a hypothetical scenario where we found out that the Philippine President, who has been in position for over a year, is North Korean. Should the President be removed solely through impeachment because the prescriptive period is supposedly over? I do not think so. It’s interesting to note that Calida’s Quo Warranto may end up nullifying Sereno’s CJ nomination, effectively nullifying President Aquino’s appointment of Sereno because Sereno’s name should not have been in the shortlist to begin with. In the 1997 administrative case Rabe vs Flores [A.M. No. P-97-1247], the Supreme Court dismissed court interpreter Delsa Flores because she failed to declare business interests in her SALN. The lowly court interpreter was dismissed because she failed to declare a specific business interest despite filing her SALN. Surely, not filing one’s SALN is an offense worse than underdeclarations in a SALN. Moreover, a Supreme Court Chief Justice must be subjected to higher standards than court interpreters. With that said, how can Sereno – one of the highest-ranking officials in the Judiciary – get away with dishonesty while a lowly court interpreter can’t? I hope not, because that would be an injustice. ...and given that 8 out of 14 justices who shall decide on the Quo Warranto petition have testified against Sereno, I think the embattled Chief Justice's odds of winning the case is next to nil. For all we know, the Supreme Court may simply declare this case as an exception to rule, that the requirements, specifically on the prescription period, must be relaxed in the interest of justice, then declare this case as sui generis or one of its kind, so as not as not "disrupt" jurisprudence. After all the Associate Justices are the Gods of Faura. If this happens, the question is whether such the Executive branch will recognized and enforced such a decision. But then, remember that the Solicitor General himself filed this petition, so I think that's very, very likely.